Simpleshark is an "Employee Shift Management Site and Mobile Application for Employee” that will facilitate the employers register over website and add the employee and create their account over the website. Once they have created the account then they can create the work schedule for them and manage them over the site. Employers will be able to add new employees and view list of all employee. Employee can create work schedule of their employees and assign work & position to them and manage their task through the site. The employer app will allow the staff to do clock in/out. 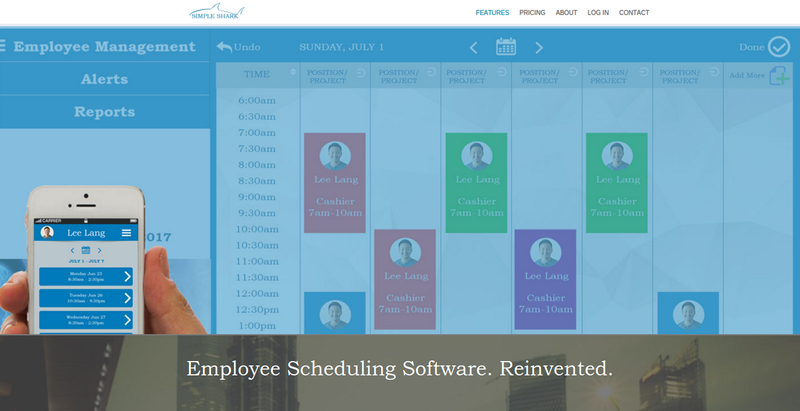 Employee will be able to see the schedule, navigate the schedule and will be able to put requests like time off, shift swap, availability. When employee will place swipe request to other employees then when any employee will accept the request then employer will be notified and then they can process it over the website.Employer will be able to copy the employee schedule for the weak and then can paste to the next week over the website. SimpleShark choose LogicSpice for its ability to develop for complex websites, and the first Simpleshark website version was released in the January of 2016. LogicSpice continues to provide expertise and services in support of SimpleShark ongoing program of website and Application development.